An engagement ring stolen from a church car park in Dorset during a wedding 19 months ago has been found. 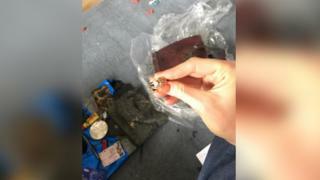 Lusea Warner-Gale's ring was in a handbag taken when her maid of honour's car was broken into at Symondsbury church in August 2017. 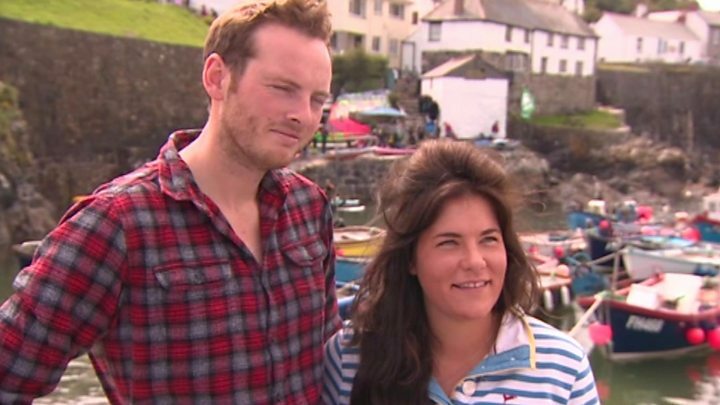 In a social media appeal two years ago, she called for the ring's return, saying she was a "heartbroken bride". The bag, with ring inside, has been found and returned by police. Her husband James said they were "elated". The white gold and simulated diamond ring was in the handbag in the car parked outside a 14th Century church before the wedding on 2 August 2017. Two cars were thought to have been broken into during the afternoon. The ring had been specially designed by artist Mrs Warner-Gale to match her wedding ring. She described "breaking down in tears" later in the evening at her wedding breakfast when she realised the bag had been taken. Mr Gale said the details on how and when the bag was found were "sketchy" but it had been found in a hedgerow in the village and returned to Mrs Warner-Gale's maid of honour, who then discovered the ring in a pocket in a make-up bag inside. Mr Gale said: "It was a very, very special ring. We never thought we'd see it again - we're dead chuffed." Tradition dictates that the wedding and engagement rings are both worn on the fourth finger of the left hand, with the wedding ring "closest to the heart". Some brides therefore decide to move their engagement ring to the right hand for the wedding service, while others chose not to wear it during the ceremony.